Attract hummingbirds and butterflies to your garden with colorful flowers that bloom once each year or all season long. Plant a combination of bulbs, annuals and perennials for continuous color in your outdoor garden beginning in the early spring and lasting through to the late fall. No room for an outdoor flower garden? Enjoy colorful flowers inside your home year round. Colorful flowers such as tulips, daffodils, amaryllis, canna lilies, tuberoses, Asiatic lilies and peonies all begin with bulbs planted in your garden. Bulbs are underground growth systems that contain the necessary energy and nutrients to grow the flowers. 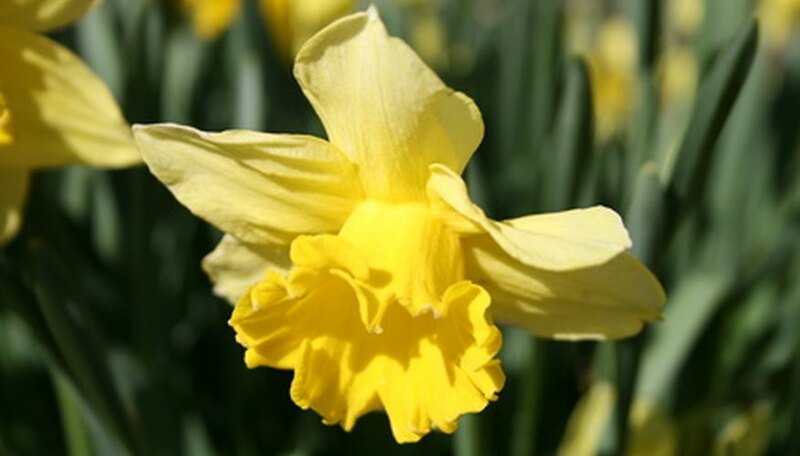 The five types of bulbs include rhizomes, true bulbs, tubers, tuberous roots and corms. 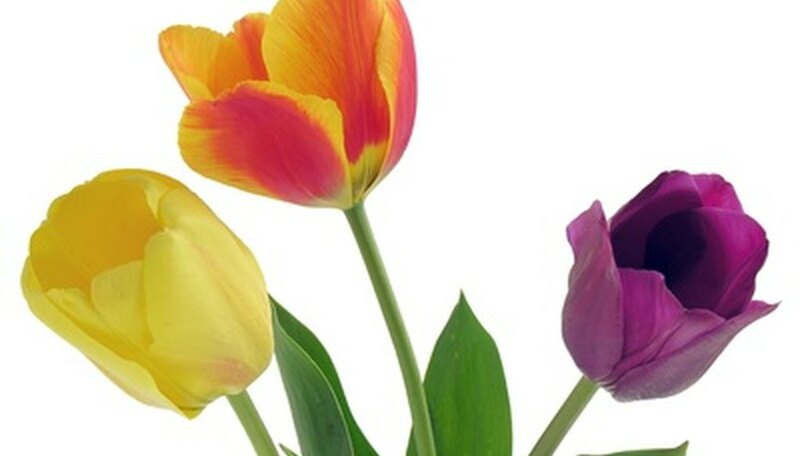 Flowers grown from bulbs can return annually up to six years, depending on the cultivar. Layer bulbs in your flower bed for colorful flowers that begin with crocus, anemone, allium and other spring blooming flowers. Early to late spring bloomers lead to dahlias, gladiolas, lilies and other flowers that bloom from the summer through the fall. Plant colorful spring flowering bulbs in the fall and summer flowering bulbs in the mid- to late spring. Colorful perennial flowers appear in your garden each year, but their blooms may only last an average of three weeks. Colorful perennial flowers include any of the bulb types of bloomers, plus roses, hydrangea, sweet pea, carnations, clematis, primrose, violets, columbine and rhododendron. Colorful perennials may appear on shrubs, trees or as a single stem in your garden. Some perennials prefer full sun, while others need shady conditions to reappear and thrive year after year. Select perennials designed to flourish in your hardiness zone for optimum color and longevity. 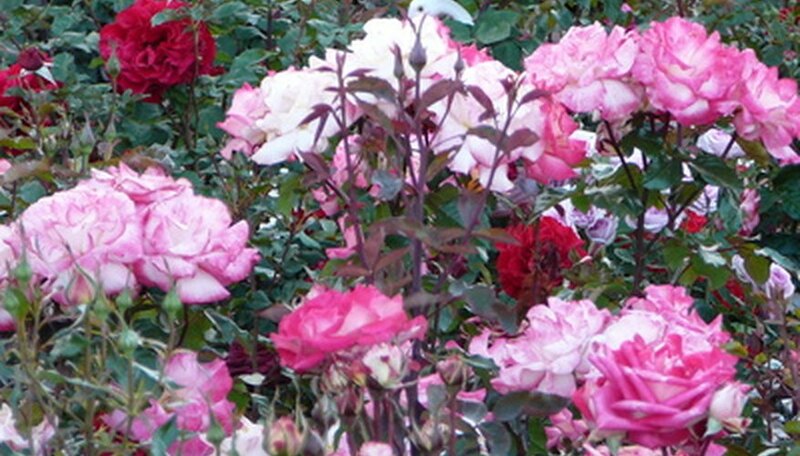 If you prefer continuous color all season long, plant annual flowers in your garden or in containers on your patio. Annuals only bloom for one season and then they die. Petunias, begonias, pansies, panolas, snapdragons, alyssum, bachelor buttons, dianthus and geraniums are examples of annual flowers with vibrant color palettes. 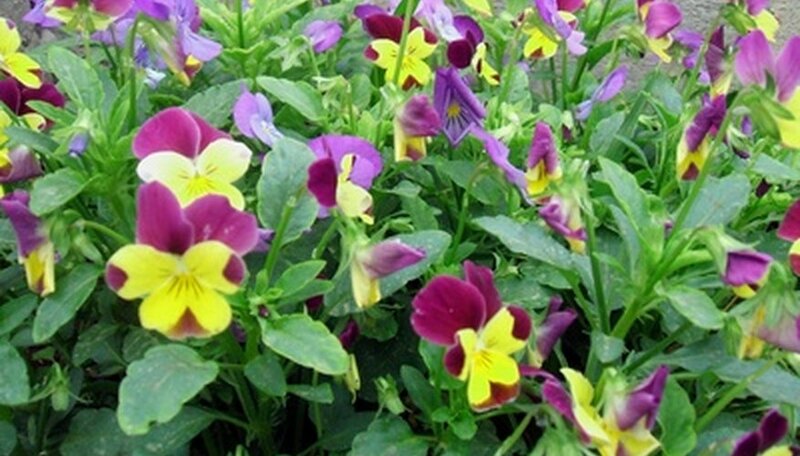 Like perennials, annuals require different light conditions to perform at their best. Fortunately, container gardens may be moved as needed so that the colorful flowers receive the right amount of sunlight. 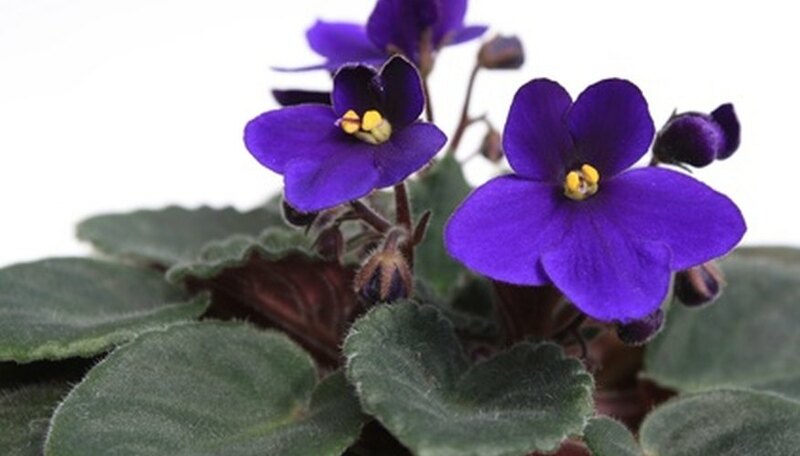 If gardening space is at a premium, you can grow colorful flowers indoors, even if you have low light conditions. Bromeliad, peace lilies, African violets, zebra plants and Christmas cactus can thrive in low light with a minimum of attention.